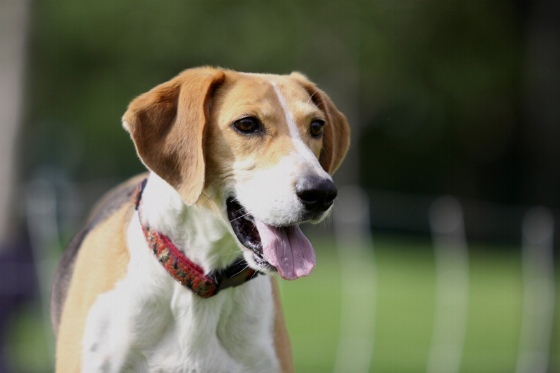 In April 2012, a first-time dog owner brought home a rescue puppy and named her Bailey. As Bailey grew it became obvious that she was strong-willed and was going to be a challenge, but with a lot of persistence and patience there has been progress. 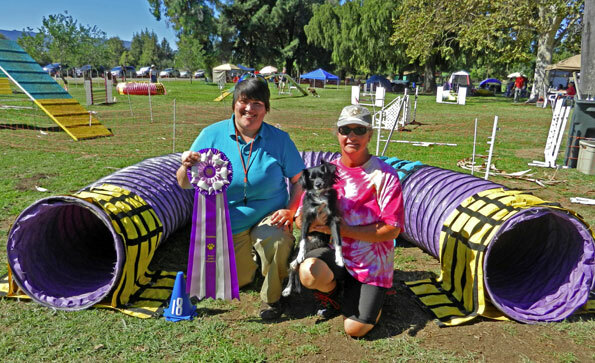 Bailey began competing locally the end 2013 and earned her Excellent STD title at the DACV trial on November 8, 2014. 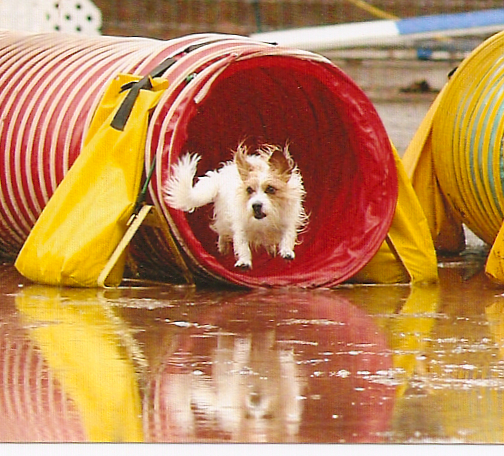 She is still feisty, but she has proven that even a novice handler with a difficult dog can have success and, more importantly, fun doing Agility! Last weekend we had 3 Seaside Scrambler’s get MACH’s. Another EXCLUSIVELY SeaSideScramblers-trained in agility dog, got his first: MACH Sam CD, BN, RAE2, MXS, MJS, OAP, OJP, OF, T2B, CA. He is only the second Harrier to earn MACH, but the first with obedience, rally and field titles. And along the way, he became the first Harrier to earn the RA, RE, RAE1 & 2, T2B, CA. 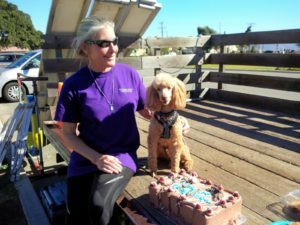 Of course it varies from dog to dog, handler to handler but Jeanette, an exception, managed to go from Novice to Masters in a year, then just 11 months to MACH. 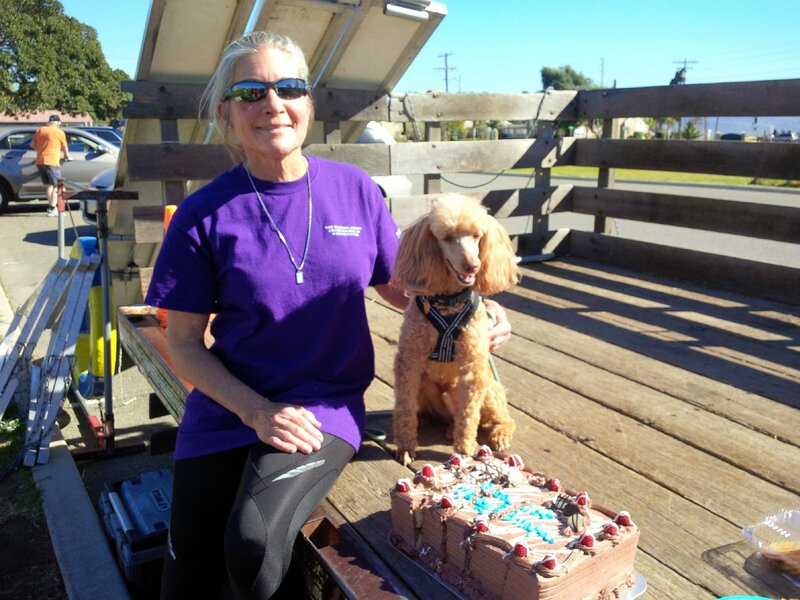 Jeanette is the first soley trained by Seaside Scramblers handler to make that accomplishment and the first of many others to do so in less then a year. 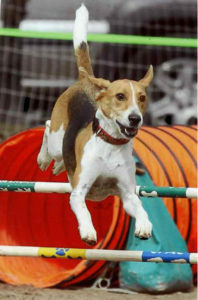 She began training her rescue dog Missy in April of 2011 and entered her first trial in Novice in October of 2011. Jeanette and Missy moved to Open JWW in Jan 2012; Open Std in March 2012. Their first show in both Masters classes was in October 2012. On one of the most incredible runs I’ve been fortunate to witness, last weekend Jeanette and Missy came in 2nd Place in Jumpers with Weaves an amazing 12 seconds under time, which coincidentally was the last needed 12 seconds. She went on to score 4th in Standard that day for the first double Q towards MACH 2. MACH… Let’s see if she can do MACH 2 prior to another year’s passage! Congrat’s Jeanette and Missy, we’re honored to have you in our center! 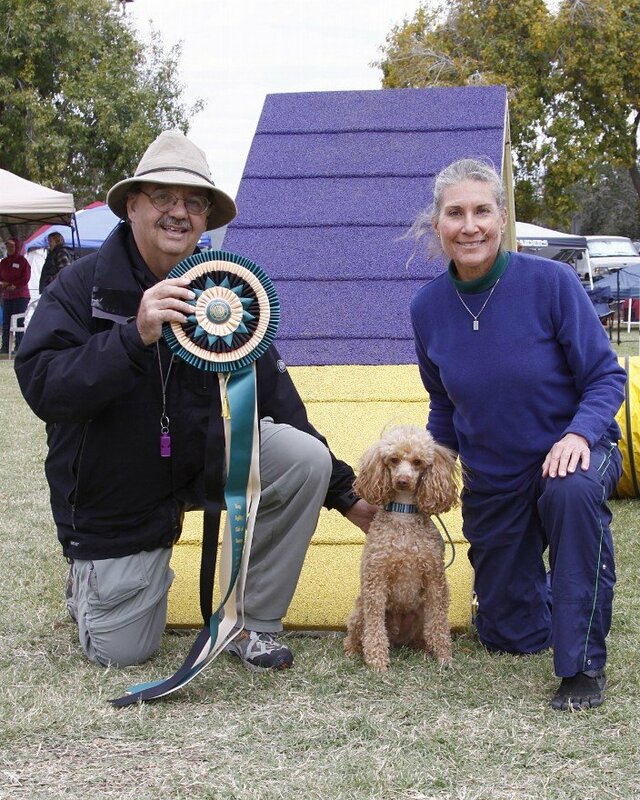 BN RN MXS MJS “Fritz” earned their Master Agility Champion title on October 27, 2012 under judge Larry Brockett. SeaSide Scramblers Students Show Off! SeaSide Scramblers Students Showing Off on 05-19-2012..
Click on Any Thumbnail to start a Slideshow of Large Photos, then use the “>>”s at the bottom of each photo to scroll. To exit slideshow click on the large photo again. 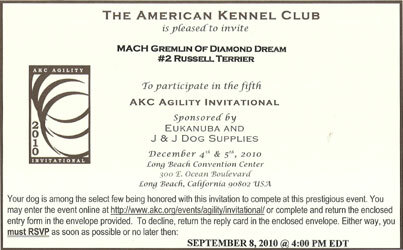 Snafu earned MACH title at the Dog Agility Club of Ventura show in Camarillo on Nov 12, 2011.
first ever Seaside Scramblers MACH 3! Gremlin was the first Russell Terrier to earn the MACH title and is the first Russell Terrier to earn the MACH 3 title. The Russell Terrier breed was approved for AKC competition in 2007. Gremlin finished in first place for the Russell Terrier breed this year! Good Job, Nancy & Gremlin! 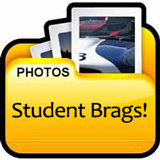 Saturday Class Photos for Download! 173 Brand New Photos of the 07-23-11 Saturday Class in Action! JoAnn has made these photos downloadable in full size for printing! Thank You, JoAnn! 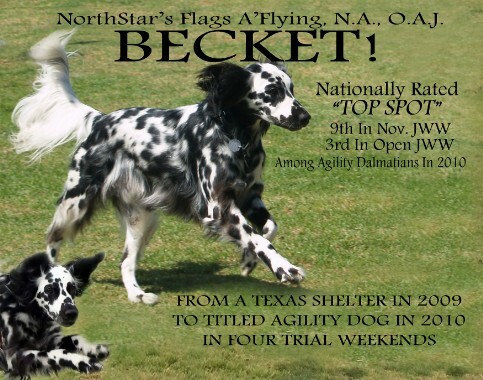 Becket NA,NAJ is a DNA-Tested Purebred Long-Coat Dalmatian! Congratulations to Roxanne Stevenson and her Golden Retriever, Cooper, on qualifying for the 2011 AKC Nationals to be held on the East Coast. Also invited, Kelly Van Arsdale’s, Peyton, and Nancy Lewis’s three dogs, Fraz, Gremlin and her newest up and coming future star: Snafu. Nancy Lewis will attend this event on the East Coast April 1-3, 2011. This afternoon my beloved Cooper achieved his Master Agility Champion (MACH) title. It’s been a long road , a lot of frustration, failures and joy – and I wouldn’t change a moment of it for anything. I feel so fortunate to have this wonderful dog in my life. But, most of all I am overwhelmed by the kindness of my friends. If it weren’t for Sara Millikan, Renee Meriaux and Kelly Van Arsdale taking over the reins when I physically couldn’t, I wouldn’t have known the joy of today’s victory lap. Ladies, Cooper and I are forever grateful for your friendship, your patience and your excellent handling skills and we look forward to cheering you on in your journey to a MACH. And while we couldn’t have done it without the ‘girls’, I also want to acknowledge the efforts of Margie Hanlon at Seaside Scramblers. 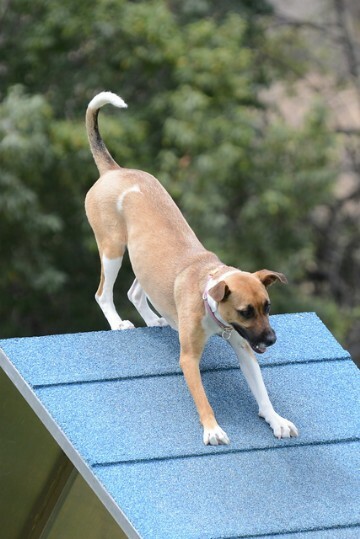 Margie has introduced the sport of Agility to so many amateur dog owners. She appreciates her students and never judges their dogs. Ever the optimist, she encouraged this middle aged woman to drive from the back seat. 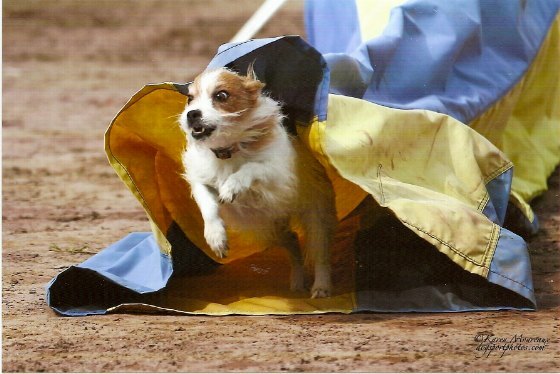 “When your dog’s faster than you’ll ever be, perfect the back cross and just pray”. Margie, I know that I speak for so many other students when I say ‘Thank You’ for taking us on, giving us encouragement and keeping your sense of humor! Again, thanks for making my dream come true……now it’s on to number two! 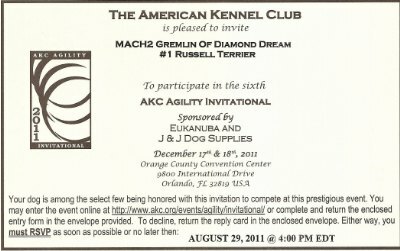 Gremlin (MACH Gremlin of Diamond Dream) have been invited to and will be attending the AKC/Eukanuba Invitational in Long Beach this year for the third year! 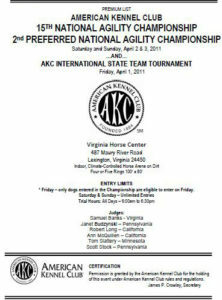 AKC Invitational invites THREE of us! 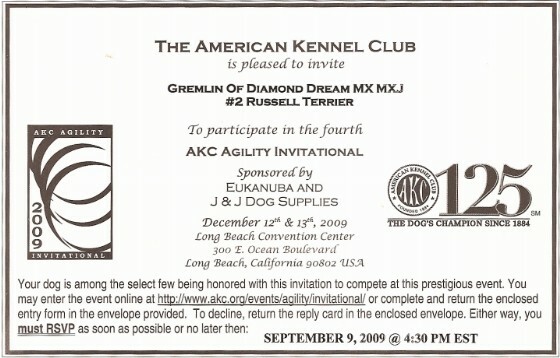 Seaside Scramblers is very proud to announce that THREE of our own will be going to The AKC Invitational in Long Beach, December 2009! 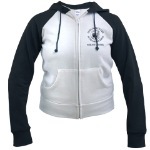 Congratulations to Nancy Lewis, Kelly VanArsdale & Renee Meriaux! 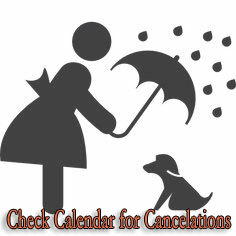 Check out photos of Kelly & Nancy’s dogs & the invitations on their pages under “Instructors”. We’ll show off the invitation to Nancy Lewis & her Russell Terrier here. Fraz, took 1st Place in Tulsa Ok at the AKC National Championships this past weekend in the 4″ Preferred Class. P.S.Anyone with old agility equipment you no longer use and could donate to the Humane Society of Ojai, contact Nancy Lewis at ddreamdogs@aol.com. Kelly VanArsdale is on her way to becoming the first soley Seaside Scrambler Student to participate in the AKC Invitational and soon to be rated in the Top 10 Bernese Mountain Dogs. Renee Meriaux will also be the first Seaside Scrambler Student to participate this year with her Basenji, Aspen.